A dictionary is very helpful to find definitions of complicated words in English, especially for non-English people. And if you are blogger or content writer or the one who reads newspaper daily, finds it quite difficult to understand the knotty words. WordWeb is such significant utility for PC users to discover the definition, synonyms, antonyms, and many other things without connecting online. WordWeb is a very handy PC tool for which has over 150,000 root words and 120,000 synonyms database. It includes many other things like proper nouns, similar words, pronunciations, and usage tags. And the main advantage is you can get all these references offline without an internet connection. The latest version WordWeb 6.8 adds up a feature of finding terms using Wikipedia when connected to internet. The new update has improved database and compatibility. Fully expandable and easily controlled interface with familiar options. Lookup Dialog box for searching specific terms over the database. Hot Key Support – Point over the cursor on any word and WordWeb displays the appropriate information. You can change the text size and disable WordWeb from displaying violated words. 5000 audio and 65000 text pronunciations. 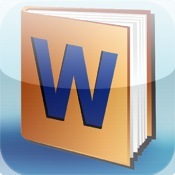 WordWeb is completely free and you can also upgrade to advanced version.